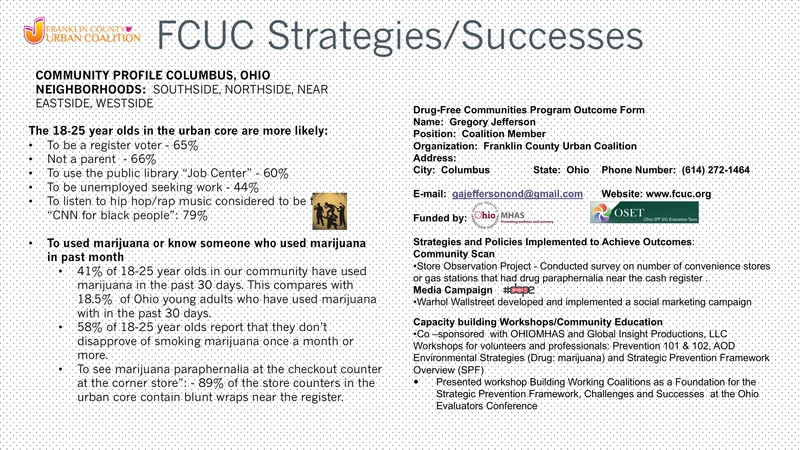 The Franklin County Urban Coalition (FCUC) Environmental Strategies are geared towards Adults 18-25 who live in the Near Eastside, Near West side (Franklinton, Hilltop), North side (Hilltop), and Southside areas of Greater Columbus Ohio. 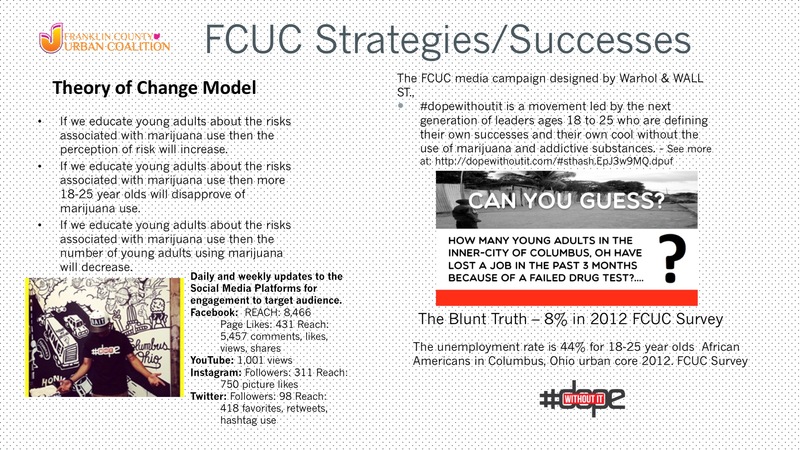 Our goal is to decrease the number of 18-25 year adults who engage in high risk alcohol use and illicit drug use through environmental strategies by creating an online and offline social media campaign that promotes a responsible lifestyle, reduces ATOD substance abuse and engage the community through various online social media platforms. With the help of the collaborative agencies, this will be accomplished by holding social media seminars, workforce development conferences and community events that promote and build capacity in professional etiquette and job skills development. The FCUC project needs advocates to volunteer and carry the message for community empowerment.